In the past few months I've talked about some of the reasons fishing is such a passion for me. From the complex puzzle trout and moving water present to the beautiful landscapes, and escape from the stresses of every day life, the reasons I fish are many. Most of which are actually pretty hard to articulate in writing, it's something you just have to experience. However, we all know the power of a good friend. A solid fishing buddy is that and so much more. When I'm on the water, I'm more than happy to spend a few days adventuring on my own. The solitude and silence of being alone in nature is a really great reset button for a self-identified introvert like myself. On the other hand, fishing with a friend or two makes things that much better. Over the years I've fished with quite a few really great people. Some I met in college others through Instagram or at the Golden Gate Angling and Casting Club. Regardless of where they've come from, being immersed in nature with a good friend tends to magnify the experience of fooling a tricky brown trout or landing that pig that crushed a 6 inch articulated streamer. 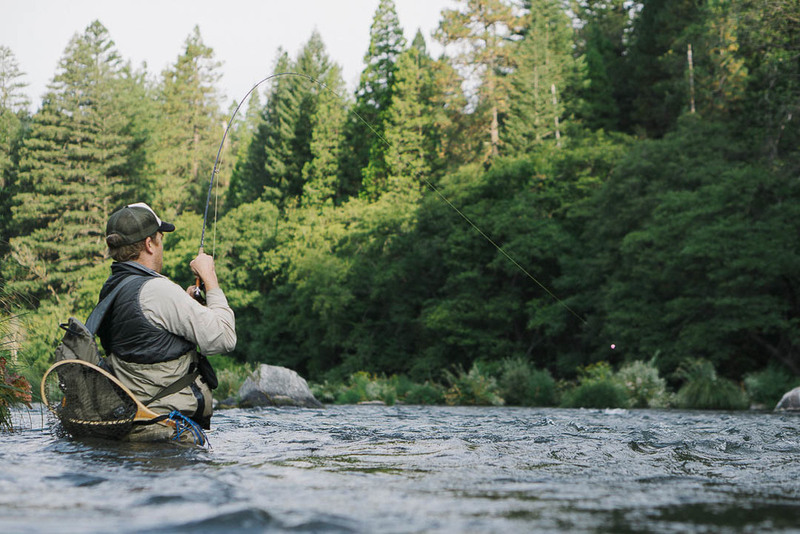 When I'm out on the river with a buddy our approaches vary depending on the water we're fishing. Some days we get to the river and fish "together" giving thumbs up and the occasional hoot or holler from a few holes apart. Other times we're on tiny creeks trading runs and riffles. One of us sneaks up on the fish while the other tries to spot feeding fish. By approaching the river as a team we get to trade tips, advice, flies, and help with the netting or photography of a really nice catch. Fishing with a friend also gives you time to share stories of fishing adventures past. Long car rides or post river beverages give plenty of time to reminisce about that one pond we'd sneak onto in college, the last trip to Montana, or that rainbow that aired out three times before spitting the hook earlier in the day. This type of comradarie make me enjoy this sport more that I would if I was on the river alone. It's a chance to connect about the happenings of life, push each other to make a cleaner cast, and share in the beauty of the places that fishing takes us. I'll always appreciate my time on the river alone but sharing the experience with a friend, building relationships, community, and a shared story makes this sport a really special one. I'm not sure if it's just the people I've met through fishing or if it's just anglers in general that seem to be really solid people. We're fortunate to share this great passion and I feel lucky to have friends willing to get out on the river with me. Friends that will fish for 12 hours without hesitation. Friends willing to hike long trails or dip into unknown creeks to chase wild fish. A good fishing buddy is hard to find and even more challenging to replace. I fish because sharing this passion with a friend makes the experience of adventuring through mountains and rivers more memorable. Get out there and bring your buddy!